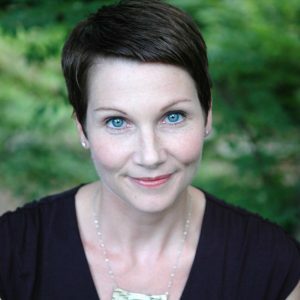 Maggie Smith is the author of three books of poetry: Good Bones (Tupelo Press, 2017); The Well Speaks of Its Own Poison (Tupelo Press, 2015); and Lamp of the Body (Red Hen Press, 2005). Lamp of the Body won the 2003 Benjamin Saltman Award from Red Hen Press. The Well Speaks of Its Own Poison won the 2012 Dorset Prize, selected by Kimiko Hahn, and the 2016 Gold Medal in Poetry for the Independent Publishers Book Awards. The collection was also a finalist for the National Poetry Series and the Montaigne Medal, and poems from this collection were awarded an NEA Fellowship in poetry. Smith is also the author of three chapbooks: Disasterology (Dream Horse Press, 2016); TheList of Dangers (Kent State/Wick Poetry Series, 2010); and Nesting Dolls (Pudding House, 2005). A freelance writer and editor, and a Consulting Editor for the Kenyon Review, Smith is also a passionate and enthusiastic teacher. She has taught creative writing at Gettysburg College, in the MFA program at The Ohio State University, and at various conferences and nonprofits around the country. She is the Visiting Poet at Ohio Wesleyan University for 2017–2018. She lives with her family in Ohio.